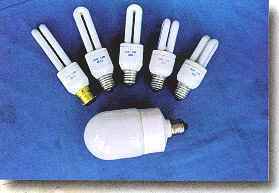 Energy saving light bulbs also called Compact Fluorescent Lamps (CFLs) are a modern type of light bulb that will fit into a standard light fitting, usually a bayonet fitting and Edison screw fittings. Energy saving light bulb are often called low energy lamps because they use less energy than the traditional tungsten filament bulbs that they replace. As they plug in directly to the normal light fittings. Energy saving light lamp inside is coated with a phosphor that gives off the light and there is an electronic ballast to start the lamp operating. Energy-saving light bulbs are available in different sizes and shapes to fit in almost any fixture, for indoors and outdoors. 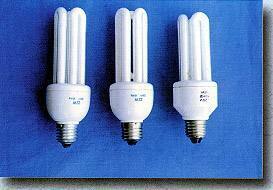 Compact Fluorescent Lamps are sold by the wattage, like the normal bulbs. However because energy saving light bulbs use a lot less energy, a lower wattage energy saving light bulb will be needed to give out the same amount of light. Energy-saving light bulbs use about 75 percent less energy than standard incandescent bulbs and last up to 10 times longer. *Energy-saving light bulbs Saving about $30 or more in electricity costs over each bulb's lifetime. The Government's Market Transformation Unit has tested several leading brands (including retailers' own-brands) of Energy-saving light bulbs and conventional, tungsten bulbs. It found that, generally, around 8 of 10 bulbs of either type exceed the median (average) life stated on the box. Specifically, at least 90% of bulbs from all brands of CFLs with a claimed average life of 6,000 hours or less exceeded this average life. Even where much longer lives were claimed - of 12,000 to 15,000 hours - over 70% of bulbs exceeded the claimed average life. So the overall conclusion was the CFLs do really last - on average - at least as long as the life stated on the box. This testing means that you can believe the claims on the boxes. What is more, it confirms that even the cheapest energy saving CFLs will typically last for 5,000 hours of use, compared to only just over 1,000 hours on average for the best conventional bulbs. Energy-saving light bulbs Produce about 75 percent less heat, so can cut energy costs associated with home cooling. An energy saving light bulb that uses 16 watts of energy replaces an standard bulb utilizing 60 watts of energy. This eliminates the emission of 1300 pounds of carbon dioxide and 26 pounds of sulfur dioxide from a coal fired plant-producing electricity. So why should you care? If you have about 30 light bulbs in your house, replacing them with energy efficient light bulbs will save you trips to the store to replace burned out lights, and about $900 over the life of the light bulbs. Many stores are running great sales on these types of energy saving light bulbs, so you have nothing to lose. Make a change that will help the environment, and your energy bills. Energy-saving light bulbs provides bright, warm light but uses about 75% less energy than standard lighting, produce 75 percent less heat. The energy used in the average home can be responsible for more than twice the greenhouse gas emissions of the average car. When you use less energy at home, you reduce greenhouse gas emissions from power plants and help protect our environment from the risks of global climate change. Characteristics: The light have artist modelling, and spherical radiation creates a better effect. The light have high POW factor. low Resonance waves disturb and electric preheat starting, and are protected when current passes, and special function of protection. 2. Soft light and electric preheat starting. 3. The light are protected when carrent passes, which are curable and energy-saving. 4. Some pares of them are provided with solid mercury tube. Use: The light can economically supersede incandescent lampsand can be used independently or used with other lanterns. Rndthey can be used in your family, toiler etc. Characteristics: The tubes of the lights can be substituted, and the light can save money and energy and probecttheen-vironment. 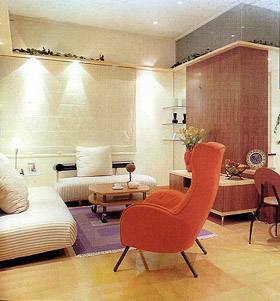 Use: The light can be used as the foils of the desk lamps wall lamps, pendant lamps and courtyard lamps. And they can be used as directional illumination, teaching illumination and courtyard illumination. Characteristics: The light are with big voltage, enough brighter, good capacity of heat dissipation, longer life-span, and electric preheat starting. And they can be protected when current passes, and special function of protected. Use: The light can be used in dining halls, classrooms, display windows, and so on. We offers ENERGY STAR qualified bulbs in our Energy Efficient Bulbs section.